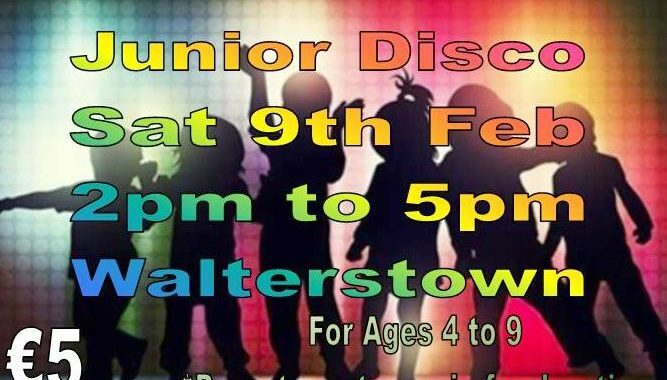 There is a Junior Disco on Saturday 9th from 2 pm to 5pm. Tickets are on the door and cost €5. This is not a “drop and go” event, the parent dropping the child is expected to stay for the duration of the event, to accommodate this the bar will be open for seating and refreshments. 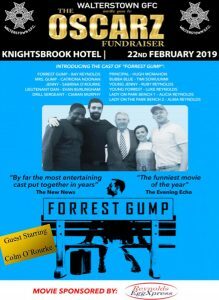 This is a fundraiser event organised by Forrest Gump Cast. Proceeds are going to the Walterstown Schools Programe and could clinch and Oscar for Forrest Gump for the Highest Grossing Movie.